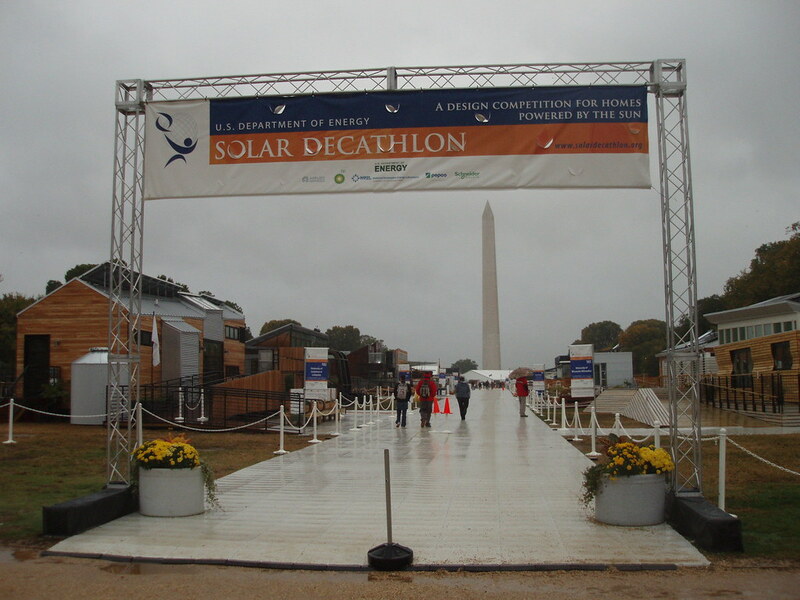 Sorry for going on hiatus after my last post from DC about the Solar Decathlon. The truth of the matter is that the weather was 100% miserable the entire time I was there, and I had not the time nor the space to blog: my hands were numb and it was raining, thus making it impossible to blog from my iPhone, which was my original intention. Anyway, I apologize. 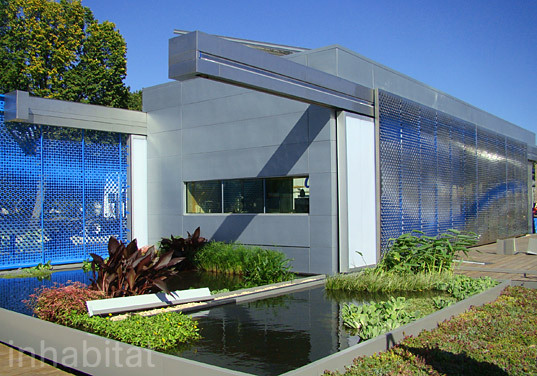 I will now wax poetic on my favorite house in the Solar Decathlon, since I haven’t done it yet. 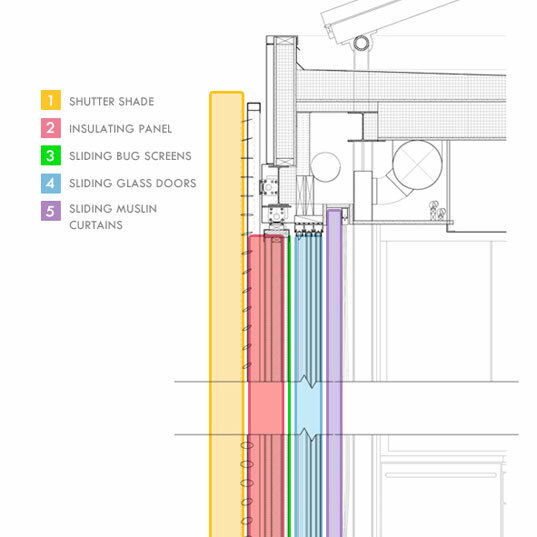 I want to talk for a moment about Virginia Tech’s Lumenhaus. This house was truly lovely, and I am at a loss to explain their 13th place finish. I felt that this team used every sustainable system reasonably available to a residential customer to create a truly green, net-zero energy home. And not only that, they did so without compromising on space – the interior of house was perfectly proportioned in its public versus private areas, with some extra special touches thrown in that really sealed the deal. Case in point: the partitions in the bedroom that not only held your closet, but they separated to reveal a TV and in doing so, created a partition wall between the bedroom and the living space. But I’m not going to stop there. 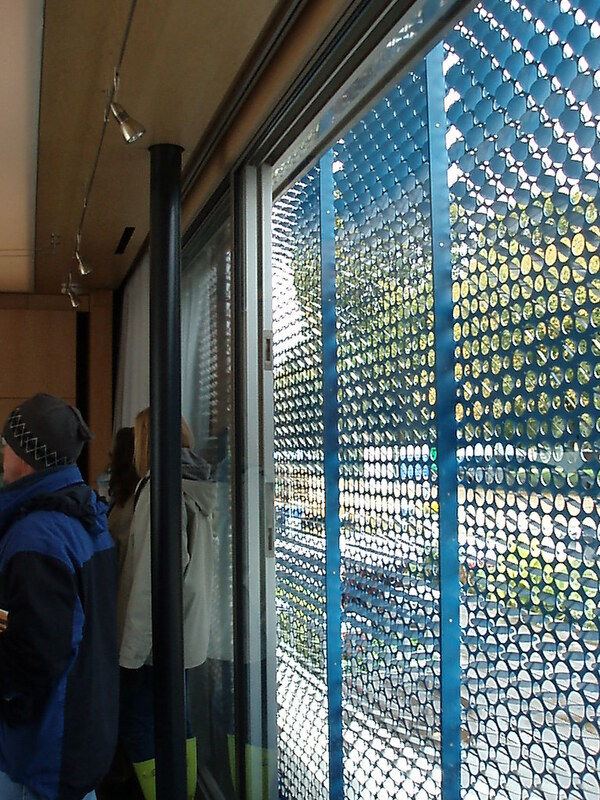 The exterior screens were cut steel and then bent by hand in a pattern that was meant to direct sunlight into the house but also maintain privacy. 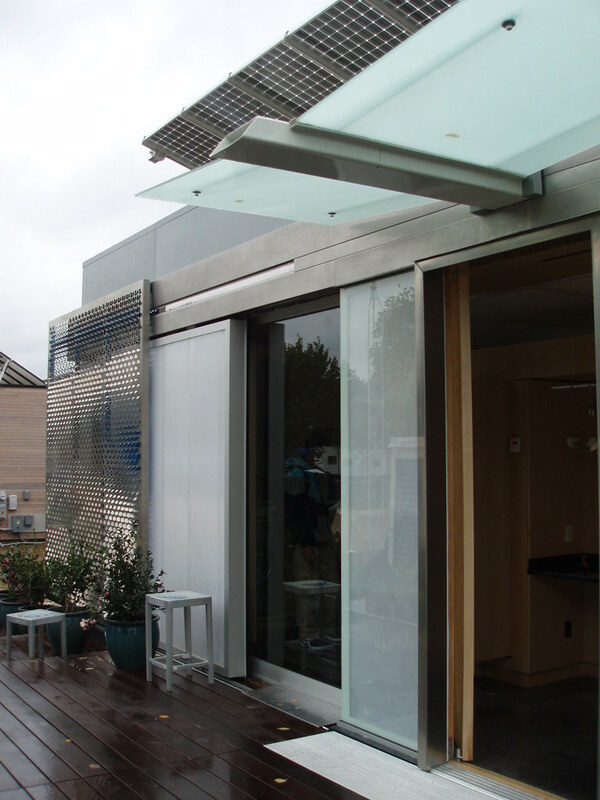 The awning over the front door doubled as a rain scupper, and drained water into catchment basins under the house… which could be recycled in a closed-loop graywater system. The skylight in the bathroom… the geothermal heating system in addition to the roof PV array… and if all this hotness weren’t enough, to move this house, all you needed to do was put it on a giant set of wheels and hitch it to the back of a tractor trailer, and you’re on your way! I’m not the only one who thought the Lumenhaus was pretty great, however; the Virginia Tech team was approached by NBC during the Decathlon and the team is now in negotiations to move the house to Rockefeller Center so it can be on the Today Show, which may happen in mid-November. Also, the team of bloggers at Inhabitat did a great write up of the house on their blog, which included some beautiful photos that I will now borrow to show you how nice the house is – if only it had been sunny while I was visiting! 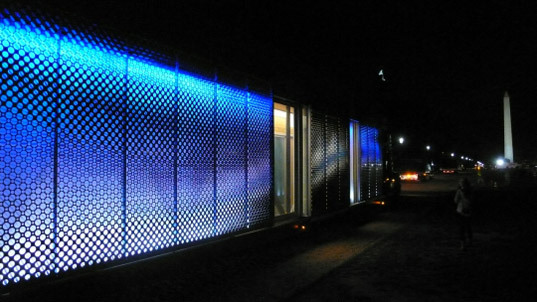 Congrats to VT for such a job well done, and let’s hope they get some of their technology upgraded in time for the Solar Decathlon Europe competition next year – since they are the only team from the U.S. 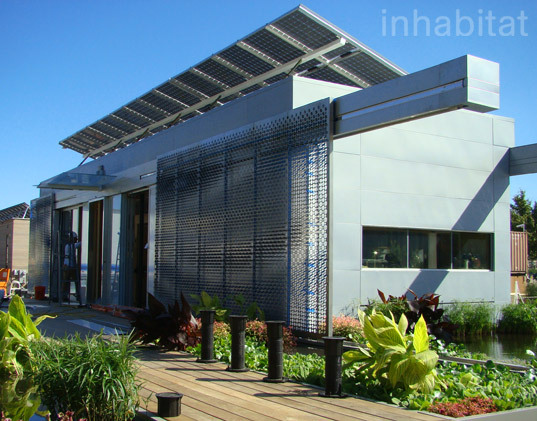 Solar Decathlon to compete overseas too!